Short-sleeved T-shirt. 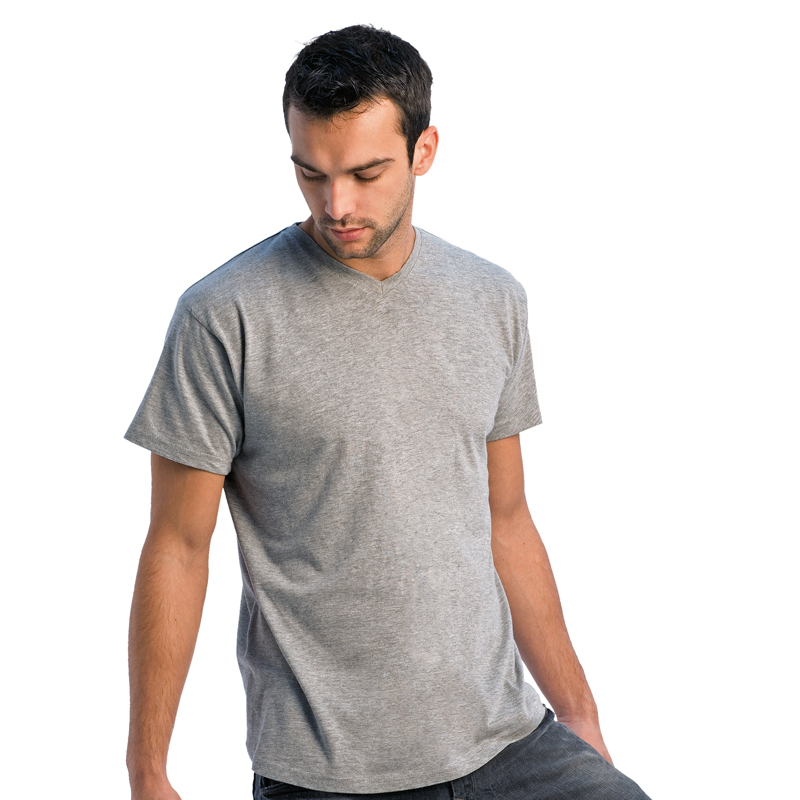 Tubular construction, exact 2-ply V-neck,1x1 ribbed collar with Elastane. S - 36/38", M - 38/40", L - 41/42", XL - 43/44", XXL - 45/47"